Paramount Home Media brings joy home to fans of Raymond Burr and his classic persona of Perry Mason on Mar. 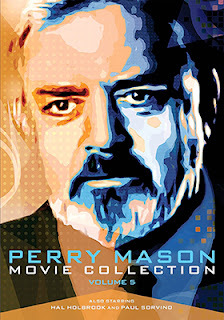 26 with the DVD debut of six new feature-length courtroom mysteries/cases with the release of Perry Mason: Movie Collection Volume 5. First on the courtroom docket is “The Case of the Telltale Talk Show Host,” a 1993 gem featuring none other than Regis Philbin as Winslow Keene, the owner of a talk radio station — how ironic — who decides to shake things up a bit. 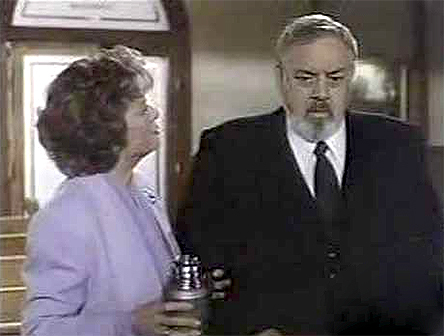 Meanwhile, Dr. Sheila Carlin (played by Mariette Hartley), the host of one of the shows, has contacted her good friend Della (Barbara Hale) for help … someone seems to be stalking her. Within hours of Keene announcing the changes, which please no one, he is murdered by a hitman and Dr. Carlin is framed for the killing. Game on! Perry not only has to track down the assassin, but figure which talk show host hired him! Others in the cast include G. Gordon Liddy, Cristina Ferrare, Montel Williams and William R. Moses as Perry’s chief investigator, Ken Malansky. 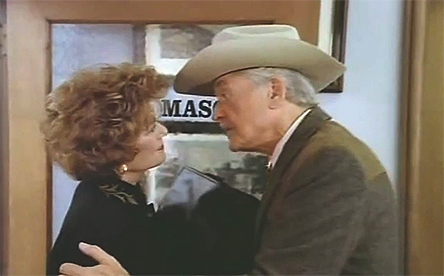 “The Case of the Killer Kiss,” (also from 1993) takes us to the set of one of those daytime soap operas, where we find the writers — at the behest of her snooty co-star (Sean Kanan) — are busy writing Kris Buckner (Genie Francis) out of the show … and she’s none too happy about it!!! Of course he ends up dead and she is charged with his murder. In Perry Mason’s last case — he died of cancer prior to the show airing — he has to figure out who framed Kris (who just happens to be Della’s goddaughter) for the murder and why. That buzzing you hear is the forthcoming Blu-ray debut of filmmaker Alfredo Zacarías’ 1978 sci-fi thriller, The Bees, which will be available for genre fans to enjoy again and again on Feb. 23. 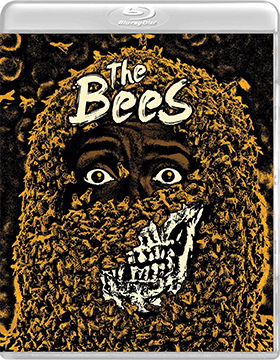 Toss those DVD editions — transferred from VHS — that you’ve coveted over the years and embrace this new 2K (from the 35mm negative) restoration that Vinegar Syndrome has ready for fans, especially fans of Angel Tompkins. 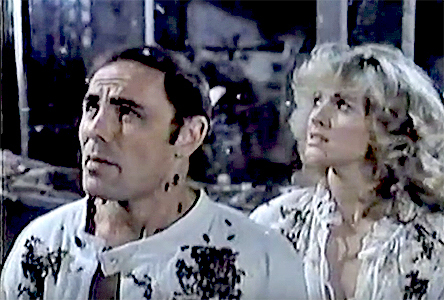 The only people standing between unrelenting swarms of killer bees from South America are scientists John Norman (John Saxon — Enter the Dragon, Queen of Blood, Blood Beast from Outer Space, etc.) and the sultry Sandra Miller (Angel Tompkins — The Teacher, Prime Cut, Walking Tall Part II, etc.). Unbridled greed to reap mega-bucks from increased honey production leads some unscrupulous businessmen goes horribly wrong and the terror of these killer hybrids are suddenly loose in California!!! Their sting is deadly and they have no mercy! Bonus goodies include a video session filmmaker Alfredo Zacarías. 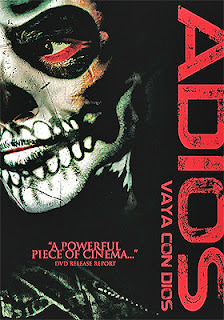 Make no mistake, Indican Pictures DVD debut of Adios Vaya Con Dios on Jan. 19, is a power piece of cinema. 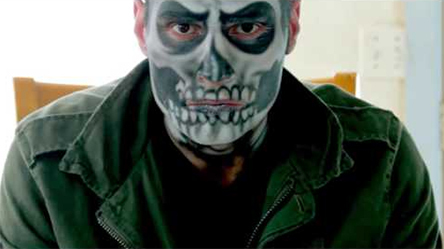 What happens when young men and women, who have grown up on the mean streets of Aurora and Joliet, Illinois, and who are often at each other’s throats, band together to make this film about events they’ve experienced first hand. No, no wait, this is not a documentary, but a powerful drama laced with tested loyalties, internecine warfare and unspeakable violence. Eloy (Al Marchesi — When it Rains, Bender, etc.) has been doing hard time, but is now back in the neighborhood and looking for retribution. His childhood friend, Rory (Zachary Laoutides, who also delivered the script), is one of the main cogs in the Olmec criminal enterprise and does his best to defuse the volatile situation, but his efforts are to little avail as the violence quickly escalates to all out war. Make that BRUTAL all out war!! Inspired by actual events, filmmakers La Raza, Mónica Esmeralda León, Timothy J. Aguado and Marius Iliescu have teamed to deliver a coherent story, with solid technical aspects (especially the special makeup provided by Kaos Leon), that will certainly find you diverting your eyes from time to time, but you are nevertheless riveted at the proceedings from start to final frame. When the Satan's Sinners are on the road no one is safe. 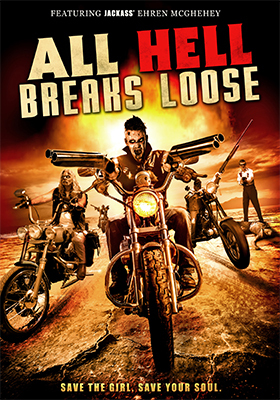 That’s the underlying premise of f/x whiz-turned-director Jeremy Garner’s debut film, All Hell Breaks Loose, which will be making its DVD debut on Mar. 22 by way of Wild Eye Releasing. This mix-genre thriller (with humor) — part ‘70s biker flick, part horror tale — begins innocently enough with the lovely Bobby Sue (Sarah Kobel Marquette — Crowbar) exchanging vows with her one true love, Nick (Nick Forrest). They are not quite finished with their first sips of celebratory champagne when members of Satan’s Sinners — who were just out for a ride — descend on them, gun down the hapless groom and Bobby Sue becomes their latest trophy. It turns out that our bad boys from Satan’s Sinners are devil worshipers and the virginal bride, despite their desires to have their way with her, is to be the central character in a sacrificial ritual. But wait, a mysterious man in white, complete with Stetson, resurrects the bloody Nick and sends him out as something of avenging angel to save Bobby Sue and dispatch these evil bikers back to hell. Yup, help is on the way! There is just one problem. Nick is awful as a revenge hero and the man in white has to resurrect him again and again as “nine-lives Nick” ineptly tries to complete his mission. 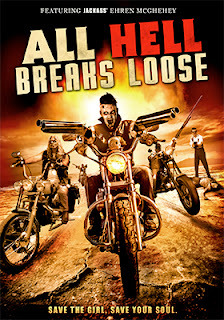 All Hell Breaks Loose is a fun throwback, an homage if you will, to classic biker flicks — those terrific drive-in guilty pleasures of yesteryear. Add in the horror elements, blend in some comic bit featuring our bumbling hero and top it off with some nice f/x tricks (speaking well of Garner’s technical background) and this indie production delivers all the promises … a good time! 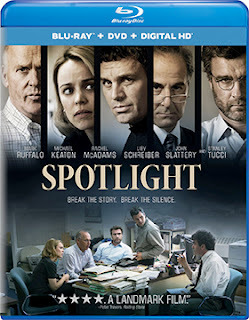 Universal Studios Home Entertainment wasted little time in bringing director Tom McCarthy’s Best Picture nominee, Spotlight, to the home entertainment market place as both DVD and Blu-ray/DVD Combo Pack editions. The street date selected is Feb. 23, which puts the film at retail just five days before the 88th Academy Awards broadcast on Sunday, Feb. 28. The timing for the DVD and Blu-ray product offerings appears to be spot-on. The ARR is 109 days and ticket sales currently stand at $30.8 million (Oscar interest will drive the box office take higher in the weeks ahead). 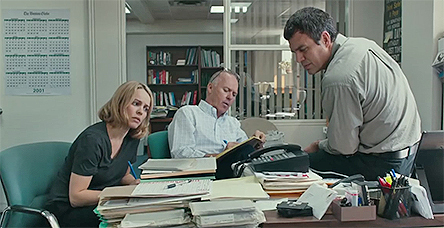 In addition to being nominated for Best Picture, Spotlight also has a Best Supporting Actor nomination for Mark Ruffalo (his third — Foxcatcher last year and The Kids are All Right in 2010) and Rachel McAdams nailed one down as well for Best Supporting Actress (her first). Filmmaker Tom McCarthy is one of the five Best Director finalists, plus he shares the nomination for Best Original Screenplay with Josh Singer (McCarty was previously nominated in the writing category for Up back in 2009). As to bonus goodies, there are two featurettes — “Spotlight: A Look Inside” and “The State of Journalism” — plus there’s a roundtable discussion titled “Uncovering the Truth” (presumably members of the cast and crew). In other release news this week from Universal Studios Home Entertainment, the STX Entertainment film production of Secret in Their Eyes will also be available as both DVD and Blu-ray/DVD Combo Pack product offerings on Feb. 23. 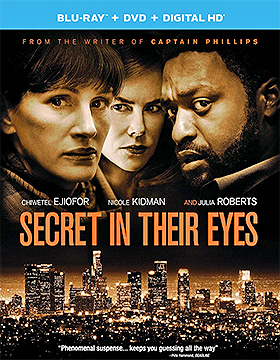 This remake of the 2009 Academy Award winner for Best Foreign Language (written and directed by Juan José Campanella) seemed like a sure-winner at the box office with Julia Roberts, Nicole Kidman and Chiwetel Ejiofor in the starring roles and Oscar-nominee Billy Ray (for his Captain Phillips screenplay) handling both the script adaptation and the film’s direction. In what became a hallmark of the 2015 new theatrical release market, it was all feast and famine as this otherwise outstanding revenge thriller was only able to muster $20.2 million in ticket sales. If 2016 retraces the same steps, then the entertainment industry has the makings of a major problem (but let’s not dwell on that). In any case, the film opened around Thanksgiving, failed to ignite at the box office during its opening weekend and immediately went into an all too familiar death spiral. Consumers aren’t stupid, although reading Facebook posts these days tends to put that in doubt, but for the most part they seem to have figured it out. If they don’t have a compelling reason to see a film when it opens theatrically — especially on the opening weekend — they can simply wait a few weeks as it will soon be available online. 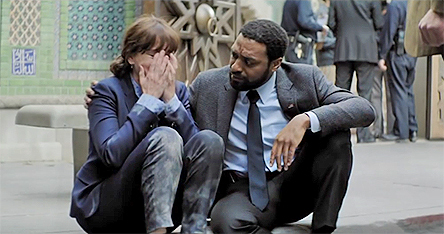 Secret in Their Eyes is an otherwise solid film production whose fate has been reduced to how well it performs on an iPhone or iPad … there’s just something very wrong with that picture. For the record, the ARR is a quick-to-market 95 days (81 days for VOD), which seems to be the new-normal for theatrical failures these days. Warner Bros. Home Entertainment turns up the heat on Apr. 29 with the release of all 21 thrill-packed episodes of Pretty Little Liars: The Complete Sixth Season. 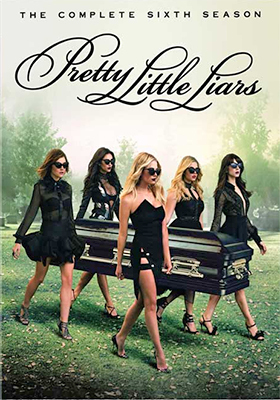 Based on Sara Shepard’s books about Spencer Hastings (Troian Bellisario), Hanna Marin (Ashley Benson), Aria Montgomery (Lucy Hale) and Emily Fields (Shay Mitchell), this television series has a loyal fan base … and Apr. 29, for them, can’t come soon enough!! 20th Century-Fox Home Entertainment will have the little ones clicking the repeat button on the remote, over and over again, beginning Mar. 8. That’s the retail-ready date for a three SKU helping of director Steve Martino’s The Peanuts Movie. The ARR is 123 days and the box office take was a solid $129.2 million. Available for consumers to choose from are a stand-alone DVD edition and two Blu-ray/DVD Combo Packs — one with and one without a 3D viewing option (the premium is ten bucks). 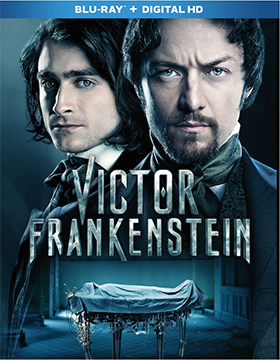 Also added to the release calendar this week — for delivery on Feb. 23 — are DVD and Blu-ray editions of director Paul McGuigan’s Victor Frankenstein. The ARR is a zippy 88 days and ticket sales were a disastrous $5.8 million. Despite an interesting script from Max Landis (Chronicle, American Ultra, etc.) and a very offbeat performance from Daniel Radcliffe — as Igor!!! — the film failed to find an audience theatrically. DVD and Blu-ray to the rescue! Bonus goodies include the featurette “The Making of Victor Frankenstein” — exclusive to the Blu-ray SKU are deleted scenes. 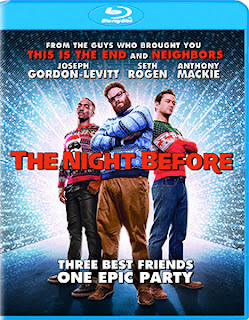 Writer/director Jonathan Levine’s The Night Before, a salute to the eternal search for the perfect Christmas party — the “Nutcracker Ball” — will be heading home as both DVD and Blu-ray product offerings on Mar. 1 courtesy of Sony Pictures Home Entertainment. The ARR is 102 days ticket sales were a jolly $43 million. 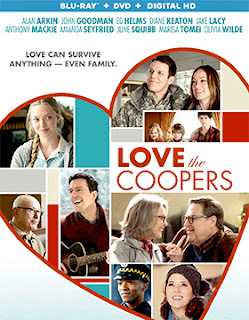 Lionsgate Home Entertainment will be moving director Jessie Nelson’s Christmas-themed comedy, Love the Coopers, to market quickly on Feb. 9 as both DVD and Blu-ray/DVD Combo Pack product offerings. The ARR is a lighting-quick 88 days (81 days for Digital HD) and ticket sales for this Diane Keaton/John Goodman misfire were on the light side with just $26.3 million worth of admissions reported. The next generation of physical media product offerings will arrive on Mar. 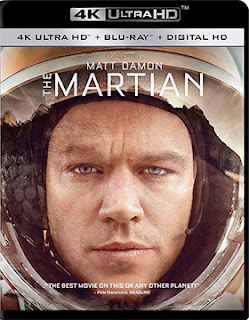 1 with the debut of 14 4K Ultra HD Blu-ray titles — and possibly eight more. For certain, 20th Century-Fox will be releasing 4K/Blu-ray Combo Pack editions of Exodus: Gods and Kings, Fantastic Four, Hitman: Agent 47, Kingsman: The Secret Service, Life of Pi, The Martian, Maze Runner, Maze Runner: The Scorch Trials, Wild and X-Men: Days of Future Past. 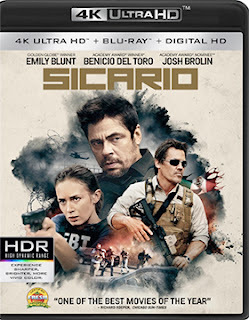 And, Lionsgate Home Entertainment will join the party as well with a selection of 4K/Blu-ray Combo Pack SKUs that includes: Sicario, The Last Witch Hunter, Ender's Game and The Expendables 3. Both Warner Bros. Home Entertainment and Sony Pictures Home Entertainment announced during December and November respectively that they will also be releasing 4K Ultra HD Blu-ray titles in 2016, but nothing official with respect to the actual launch date has arrived yet from either studio (that could happen any day). Sony Pictures first wave of 4K Ultra HD Blu-ray releases will include Amazing Spider-Man 2, Chappie, Hancock and Salt. Warner Bros. has committed to over 35 releases during calendar 2016, with The Lego Movie, Mad Max: Fury Road, Pan and San Andreas as the films selected to comprise the studio’s first wave. If they all stick to the Mar. 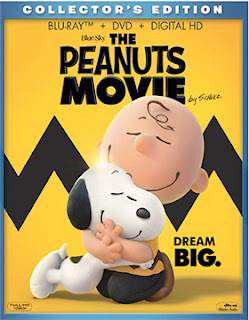 1 release launch, consumers could have as many as 22 4K Ultra HD Blu-ray titles to select from … if they can find the next generation player to view them on that is. Indeed, it remains to be seen if this next generation format will be mainstream or simply a high-end niche product. Unless the participating studios are willing to rethink their window strategies for theatrical, physical media and VOD, it would seem — at least for now — that these new 4K Ultra HD Blu-ray products will do little more than marginally cannibalize existing Blu-ray sales. In any case, it will be several years before market penetration reaches a critical mass to get a firm handle on market place trends. It should be noted that the jump from VHS to DVD to Blu-ray to 4K Ultra HD Blu-ray, while always impressive, is not necessarily progressive in nature. Most consumers simply may not see the benefit of 4K Ultra HD Blu-ray when the trend of late has been to focus on streaming. What is the advantage of watching a 4K transfer on an iPad or iPhone? And what about all that bandwidth … is it just magically going to keep on expanding?